We believe in myths. George Washington did cut down a cherry tree. (Never happened.) Benjamin Franklin did fly a kite with a key to discover electricity. (Not exactly.) 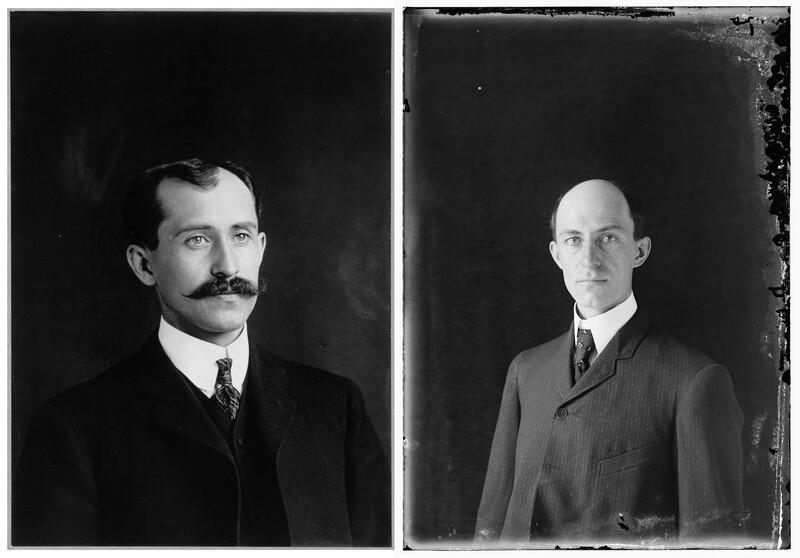 Wilbur and Orville Wright, the legendary brothers, together invented manned mechanical flight. When I began research for what would become my book, Wright Brothers, Wrong Story , immersion in the documents led to a new narrative, and it counters the defining assumption: that Orville and Wilbur jointly produced the Flyer. That makes for the ultimate teamwork epic—but the Wrights’ saga is actually the story of Wilbur. The crude propeller is, I would argue, wholly the product of Wilbur’s vision. To him we owe that first 12 seconds of successful powered flight. Wilbur may never have applied his genius to aeronautics if it hadn’t been for a random misfortune. In the winter of 1886, Wilbur, age 17, suffered a devastating setback when his jaw was shattered during a hockey match. Wilbur’s dream of attending Yale was dashed. Instead, at home in Dayton, Ohio, he endured a grueling convalescence and, for three years, serious depression. It was during this enforced inactivity that Wilbur alone became obsessed with figuring out the secret of manned flight. In 1896, Wilbur, on his own, contacted the third Secretary of the Smithsonian Institution, Samuel Pierpont Langley, requesting information on human attempts at mechanized flight, including “such papers as the Smithsonian has published on this subject, and if possible a list of other works in print in the English language.” Langley’s assistant, Richard Rathbun, obliged by sending a “list of books and pamphlets on aviation.” Wilbur alone contacted the United States Weather Service, asking for data on meteorological conditions, including wind speed, at locations throughout the United States—information that would lead Wilbur to choose Kitty Hawk, North Carolina, as the test site. Wilbur wrote to the Chicago-based aeronautical scientist Chanute. Their correspondence would produce 500 letters and culminate in Wilbur’s breakthrough thinking. Wilbur built the first “kite wing,” a box-shaped wing with two levels, and tested that prototype alone in a field near the family home in Dayton. Wilbur then built a glider, in his workshop above the brothers’ bicycle repair shop, and shipped it to Kitty Hawk. And in the first year of the new century, Wilbur headed to this fishing village... alone . His father, in turn, acknowledged Wilbur’s leading role. In a letter, he admonished his son to be mindful of safety: “You have so much that no one else can do so well. And alone, Orville would be crippled and burdened.” Orville would not make his first attempt at flight until 1902, long after Wilbur had made hundreds of tries. Wilbur Wright was the man who really invented controlled flight, though it is nearly heretical to say so. Orville, though a gifted mechanic, never had the genius to make the leap from theory to application. 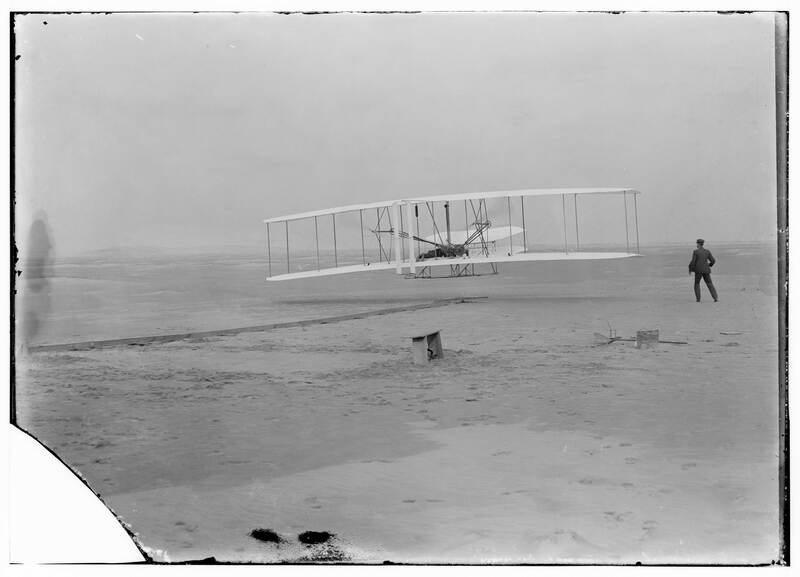 The brothers took turns piloting the aircraft at Kitty Hawk that month, and a coin toss determined who would be at the controls on the morning the plane first successfully lifted off: Orville, his historic triumph immortalized by a box camera. Wilbur possessed the imaginative intuition that transformed a crude wooden propeller into an instrument that vaulted humans into a new era. That is the difference between the poet and the scribe. And that is all the difference in the world.